One of my favorite authors, Sir Terry Pratchett, died today at age 66 from complications due to Alzheimer’s Disease. 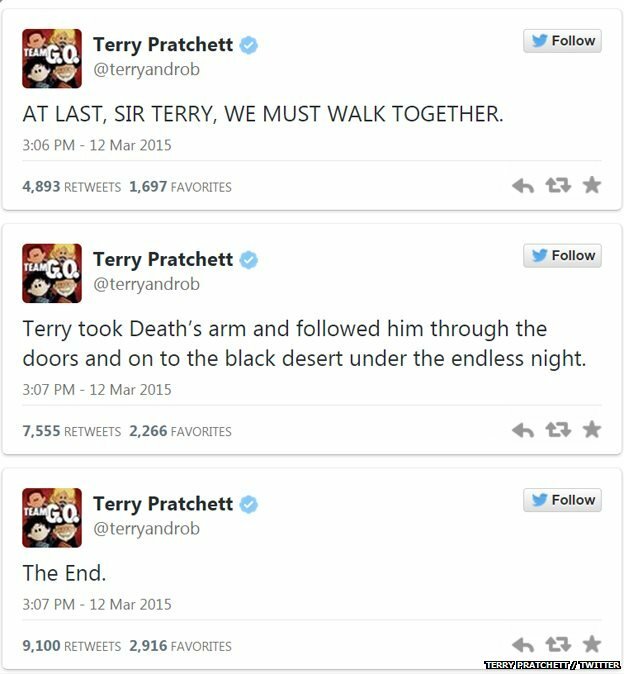 His death was announced (beautifully) with appropriate humor on Twitter. For those of you who haven’t read the 40+ Discworld books, Pratchett’s Death character always speaks in all caps. This entry was posted in Geek, Interesting. Bookmark the permalink.